"It is a pleasure to work with someone who knows the meaning of efficiency, SCS’s portray a sincere dedication in all that they do and always make a special effort to ensure satisfaction. The outcome of their services has proven them to be extremely knowledgeable in all aspects of the computer industry. 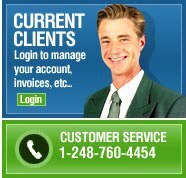 On behalf of everyone at ATM of America, Inc. we would like to extend our gratitude to an outstanding company such as Suler’s Computer Services." "Suler was very patient and understanding of novice computer users." "We have been using Suler's Computer Services for the past two years and have been impressed with their customer service and willingness to keep working until any of our computer problems are solved." If we have done business for you and you would like us to add your testimonial please click on the link below and request that we add your testimony, you may write your testimony on that form as well. Copyright (c) 2005. Suler's Computer Services, Inc. All right reserved.